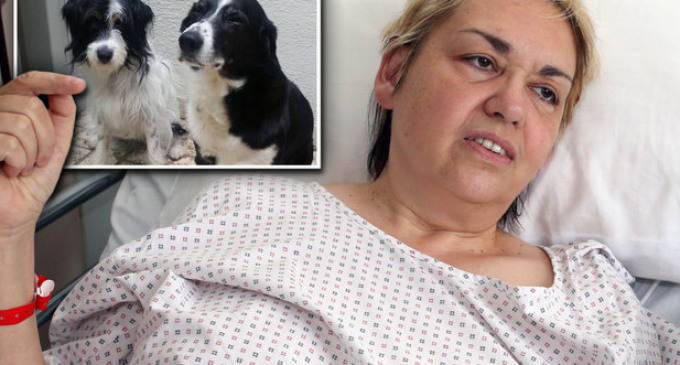 A middle aged woman in Vienna had to be hospitalized following a brutal debilitating attack in broad daylight by a veiled Somali migrant for walking her dogs. Dogs are haram in Islam. Haram means prohibited. Everything Muhammad disliked is considered to be haram. And let’s just say that the good old Prophet M wasn’t a dog person or a fan of blacks. At first, he kept things simple. Side-note – that is still the original verdict kept to this day involving Christians. But, dogs came out faring a bit better than Christians in the Hadiths. Maybe his 6-year-old child wife ended-up wanting a pet or someone paid him a pretty sum of Gold to change the will of Allah. Who knows except something happened to move the big Muslim cheese upstairs to whisper in the ear of his little prophet to revoke his earlier decree, well somewhat. Some one who smells like a camel & wears a robe all day said dogs are unclean????? That is why I carry in the city! !